Cowon Plenue D2 budget music player supports DSD128 | What Hi-Fi? Cowon has recently scooped five-star reviews for a couple of its excellent portable music players - one, the Plenue D, won a What Hi-Fi? Award in 2017 and 2018. Cowon has announced the Plenue D2, which brings a smattering of improvements – ‘higher specifications and upgraded performance’ – to the already successful Plenue recipe. It's equipped with an improved dual Cirrus Logical CS43131 DAC configuration that is allegedly ‘power-saving’ to minimise battery consumption. 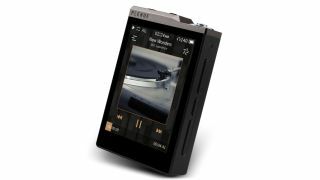 Cowon claims the Plenue D2 can offer 45 hours of music playback from one charge, although this figure will inevitably be dependent on criteria such as volume levels. There’s now 64GB of built-in storage (as opposed to 32GB), expandable to 192GB by adding a 128GB microSD card. It also natively supports DSD128 (rather than converting it to PCM for playback) in addition to 24-bit/192kHz file compatibility, and features a 2.5mm balanced headphone output. The Cowon offers five digital filters, as well as JetEffect 5 and BBE+ software to correct distortion. The Cowon Plenue D2 (£245) can be pre-ordered now from Advanced MP3 Players and will be available mid-February. Attendees of The Bristol Hi-Fi Show will be able to give it a trial run that weekend, too.